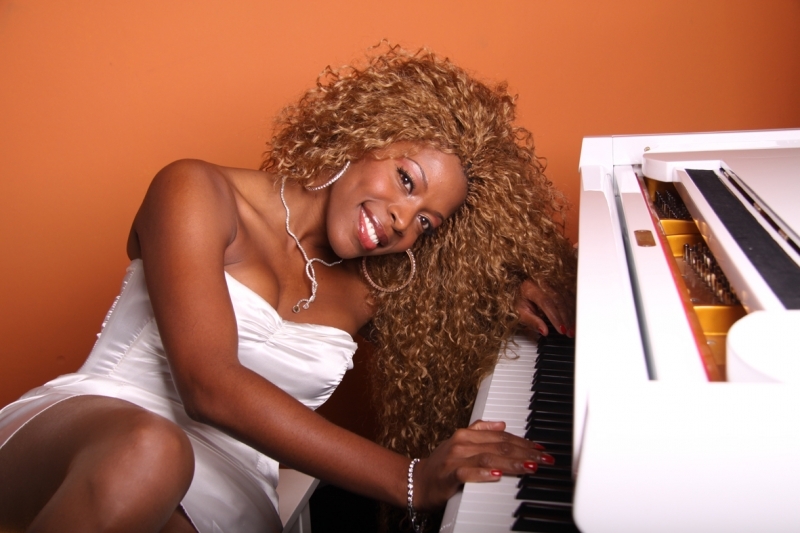 The Marbella-based Cuban singer-pianist Yanela Brooks gave an exclusive interview for i-Marbella.com, where she talks about her projects, plans and how she plans to spend the winter holiday. 1. How is your last album going and what is your next project? My album has worked perfectly and it has exceeded my expectations by far. Thanks to it and my promotional DVD, many doors have been opened in most of Spain and other countries. I've also been sharing the stage with major Spanish artists, as Javier Gurruchaga, Juan Pena and I also played with David Bisbal and Marta Sanchez. My next professional projects are mostly composing, composing and composing. Presenting my new DVD, "Brooks Yanela live" (I’ll particularly dedicate it to i-Marbella as soon as it is finished! ), and work hardly in the elaboration of my new show for 2011. You can order the new DVD of my live shows through my website www.myspace.com/yanelabrooks or just email yanelabrooks@gmail.com. In less than three days, my team will send you a copy. I have many side projects that I could not list in this interview, because my life is in itself a project in constant play. My personal project is to be happy with how much or little live brings me, be in harmony with my family, friends and with my own life, my joy and spread my joy and happiness everywhere I go. 2. When are we going to see Yanela Brooks playing again in Marbella? As this year, in 2011 I’ll continue expanding along the Spanish geography and internationally. My appearances in Marbella will decrease, but I promise, they will be intense and full of energy. As usual, I’ll make a stop at the places that have propelled and supported me in my career, Puente Romano, Marbella Club, which I consider as my home now. I just need to arrange the dates and, you will be the first to be notified. I have some private galas confirmed in La Quinta Golf and Villa Padierna. 3. What advice would you give to your fans to succeed like you? The advice I’d like to give to all my fans is, that despite all the successes, never forget who they are and where they come from. 4. What do you like most about Marbella? Where do you see yourself living in the future, in Spain or Cuba? I love Marbella, not only for its beauty but also for the happiness it brings to my life. There are many things why I like Marbella. Firstly for the mountain, its air, its glamour and its people. I’ll always keep my home in Marbella as a base, however I see myself in the near future performing in an American city and I’ll go to Cuba just on holidays to see my family, my friends, and especially to reaffirm who I really am and where I come from. 5. What do you like to do in your spare time? What hobbies and interests do you have? In my free time I like to sleep, relax with the light of a candle in the company of my loved one. I'm a fan of spas and massages and I also love watching movies and reading books before going to sleep. I like being with my friends and talk about anything but work - just to disconnect. 6. What are your beauty tips? My beauty tip is to eat well every day and a bit of everything, be with friends that charge my batteries, to love and feel loved, drink water, practice sports, try not to lose time in things or people that are not worth it. 7. What are you planning to do on Christmas and New Year's Eve? At Christmas my priority is my family. It&rsqu o;s been 10 years since we all gathered in Barcelona, because all of my husband's family lives there. My mother and I join to the clan as a blend of the most fun. On New Year’s Eve, I have always been on the Canary Islands or in Marbella, but this year I want to spend it with my family, since in all these months I have not enjoyed their company, because of my really busy schedule. 8. How do you spend New Year’s Eve in Cuba? The whole family gathers in the main house, we roast a pig, there is plenty of food, beer and dancing until everyone goes to sleep. 9. What are your plans and ambitions for the future? My plan now is to continue fighting at least to be able to stay where I am. It is very nice at all levels, I can not complain. I keep dreaming about bigger stages, creating better compositions, also dream that my show gets better and hope I keep meeting people and personalities that enrich and strengthen me. My main dream and ambition is that my desire to evolve in all directions would not fade, and that the enthusiasm for life and music would never disappear from my life. 10. What would you like to say to the clients/users of i-Marbella.com? I would like to say to the clients of i-Marbella.com, that I think it's wonderful that they have chosen i-Marbella to expose and advertise their business, since I am a faithful follower of your online magazine, and I can attest that quality is the main emblem! In this interview I want to thank with all of my affection all the media in Marbella, for believing in me and spreading my work. I want to thank Johnny Gates and Juan Rodríguez for all the images that have caught of my shows; they got me closer to my audience. To John Thomson, the Puente Romano Hotel, and Marbella Club Hotel team, to the Princess Maria Luisa of Prussia, to Mercedes Fischer, to the lions club Marbella, to Lissette Jazmin and Eckert to create all the beautiful costumes for my shows, to Pepe Barroso, Denisse Matheus and Oscar Benavente for opening the doors to other professional horizons, to all owners of premises that have chosen and continue to opt for my art. And most importantly, my idolized mother, my husband, my team, my friends and fans who have always stood by me, making me a better person and artist.